Cameron Yorke has read 0 of 12 books. I grew up in New Zealand, but ran away to find fame and fortune at the age of 19 and have lived abroad ever since, working as a Freelance Journalist for the past 14 years. My main loves are food, wine, travel and fashion, and this is mainly what I write about, although I have been known to stray occasionally! I've reviewed most of the top restaurants in the world, writing for international travel and lifestyle magazines worldwide, and some have said I'm bloody good at it! I've travelled extensively, and lived in many amazing countries before moving to Britain in 2005, where I've written, presented and produced documentaries, television series and short films. 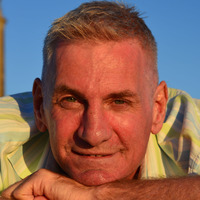 My books are mainly of a memoir and self help genre, or travel and lifestyle, but a I grew up in New Zealand, but ran away to find fame and fortune at the age of 19 and have lived abroad ever since, working as a Freelance Journalist for the past 14 years. My main loves are food, wine, travel and fashion, and this is mainly what I write about, although I have been known to stray occasionally! I've reviewed most of the top restaurants in the world, writing for international travel and lifestyle magazines worldwide, and some have said I'm bloody good at it! I've travelled extensively, and lived in many amazing countries before moving to Britain in 2005, where I've written, presented and produced documentaries, television series and short films. My books are mainly of a memoir and self help genre, or travel and lifestyle, but all are based on personal experience. I'm a keen activist for gay rights, along with prison reform and rehabilitation, and have founded a charity to support victims of drugs and the chemsex culture, funded by the proceeds of my books. To ask Cameron Yorke questions, please sign up. Cameron Yorke For me the best thing about being a writer, is having the opportunity to tell a good story! We’d love your help. Let us know what’s wrong with this preview of His Five Night Stand by Emma Thorne. We’d love your help. Let us know what’s wrong with this preview of A Life Half Lived by Darryl Rodgers.